Please thank your husband for his service! Greatest respect, M.W. Johnson, USMC 1979-2003. What is the purpose of the bread crusts on bottom?? It seems it would absorb any liquid cooked out from meat. I cannot thank you enough for sharing this! I am serious, this is amazing. My husband doesn’t even like meatloaf and he said “MAN that meatloaf is ridiculously good!” and had three helpings!!!! Sara Jane (daughter’s best friend) had some and took some home. Her mother took one bite and said “Can you just let me have the rest of that?”. You are a low carb enchantress in the kitchen. I can’t wait to try the other recipes you sent me today. I’m sure you’ll have future posts dedicated to you, too!!! I am Susan’s next door neighbor and my husband and I are the lucky recipients of many of Susan’s dishes! She is an excellent cook and friend! Wow how blessed you are! Are there any vacancies in the neighborhood,lol? I second this! Gmama, let’s rent a moving truck together! Christy is it me today or are the recipes in both links the same. One states beef,chicken , pork. Other has only beef and chicken. I think I can’t get them side by side and I have not been feeling completely well so maybe I just can’t read today. Sounds like a good recipe. Will have to try. In the link for Pin for later shows meat- 1lb. ground beef, 1lb ground chicken 3/4 cup pork. I see that is suppose to mean pork rinds now but I thought it was pork to start with because a lot of people use a mixture of pork, beef, turkey to make meatloaf’s. On your site it shows pork rind and ground beef, ground chicken sorry for the mix-up in my head. OH!!!!! Okay, that is a crazy pinterest thing. Let me see if I can change it, not sure if it will let me though because Pinterest auto populates that. I completely understand your confusion now. You had me at pigskins. What purpose are the pork rinds? I’ve never used them in a recipe. You usually use something as a binder and to help keep meatloaf moist. 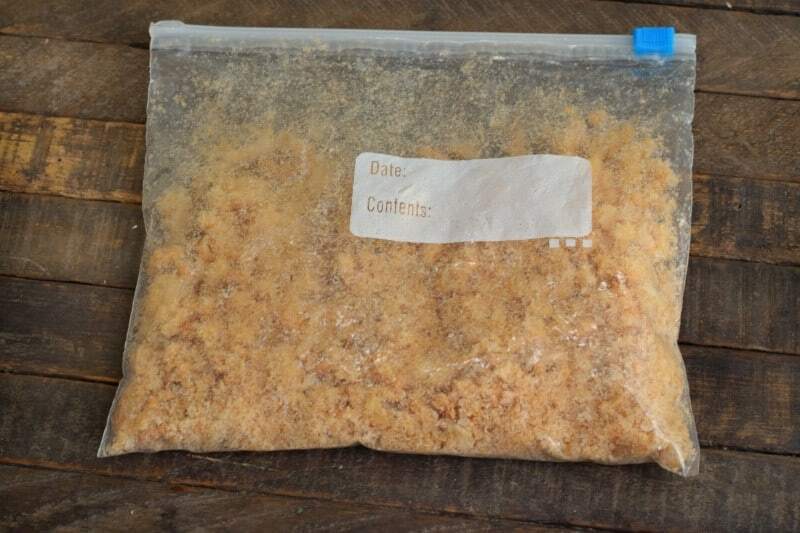 Most recipes call for bread crumbs or oats but this one keeps it low carb by using pork rinds. I think they also add to the amazing flavor. Christy, am I assuming correctly that you left the bread on the meatloaf and ate it also or did you remove it? Seems like it would be pretty greasy from the meat drippings. The bread is used to soak up some of the excess grease. That’s why one of my “Tips” suggests peeling it off and giving it to your dogs. Mine do a Happy Dance every time they get treated with the trimmings, but I have to admit that there have been times when I left it in place and did my own happy dance. I may or may not have had a personal happy dance myself. The world will never know…. I never would have thought of using beef AND chicken. This sounds so amazing that I can hardly wait to try it. And I know my dog will love the bread too. Now, if only my ground beef will hurry and thaw so I can get started. Wow this sounds super interesting with the pork rinds and chicken. I will have to try this! Thanks for sharing! I must try this. I won’t tell right away what’s in it! You should try 1lb breakfast sausage plus 2 lbs ground chuck, green pepper, 2 eggs, onion, ketchup and bread crumbs. Bacon on top. Best ever! Now that would make it a completely different recipe, wouldn’t it? I have used many of your recipes and they are tasty as as you describe. I have a question about the meatloaf recipe you have recently shared . My husband is a celiac (food allergy to wheat gluten) and we have not had meatloaf in years . Come to think of it, I don’t think either of my sons have ever eaten meatloaf! I have adapted some of your recipes so they become gluten free , but. I am hoping you could give me a suggestion as to what to substitute for the pork rinds. I am from Ohio, so I am not familiar with this item. Is it fried with flour? That is a no no for celiacs. 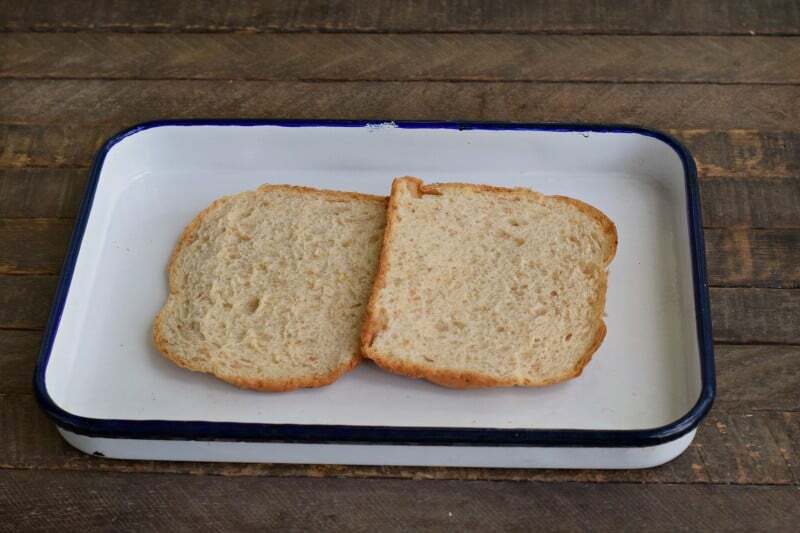 I can locate gluten free bread for the recipe, though the bread is much like dry cardboard. Would I need to use bread slices? I would appreciate any suggestions because I miss meatloaf and I would like my husband to be able to enjoy it as well. Pork Rinds are usually located in the “Chip” aisle. They come in a bag like chips do. The ones I’ve always seen are pure pork, so you shouldn’t have any problems like with flour. Hope you enjoy! Pork rinds are just skins fried, no flour, sometimes salt is added, but that is it. This recipe should be good to go for celiacs right now. I hope you get to try it soon! 🙂 You can skip the bread, no prob, there will just a bit more grease in the pan itself. Don’t use the onion soup mix because it’s loaded with wheat. Instead I would use some dried minced onions and maybe some beef bullion if you can find a celiac compliant one. I use corn flakes when our gluten free friends come over for meatloaf, but I suppose in this recipe you would lose some of the pork flavor with that substitution. In my meatloaf recipe I usually use crushed ritz crackers and can hardly tell the difference when I switch to crushed corn flakes. I hope this helps for gluten free meatloaf adventures in the future!! I grew up on meatloaf made with “meatloaf mix” freshly ground from the butcher – it was 1/3 ground beef, 1/3 ground lamb, and 1/3 ground veal. I don’t know if this was a local thing or what back in the 60’s but it made amazing meatloaf. I think the ground chicken would mimic at least the ground veal part. Can’t wait to try this!!!! This sounds like a good recipe that I want to try. I have a little idea that I think would make prep even easier. Remember that bag you used to crush those pork rinds? Next, just add all the other ingredients that need to be mixed to the bag, seal bag, and then mix items in bag with your hands on the outside of the bag. 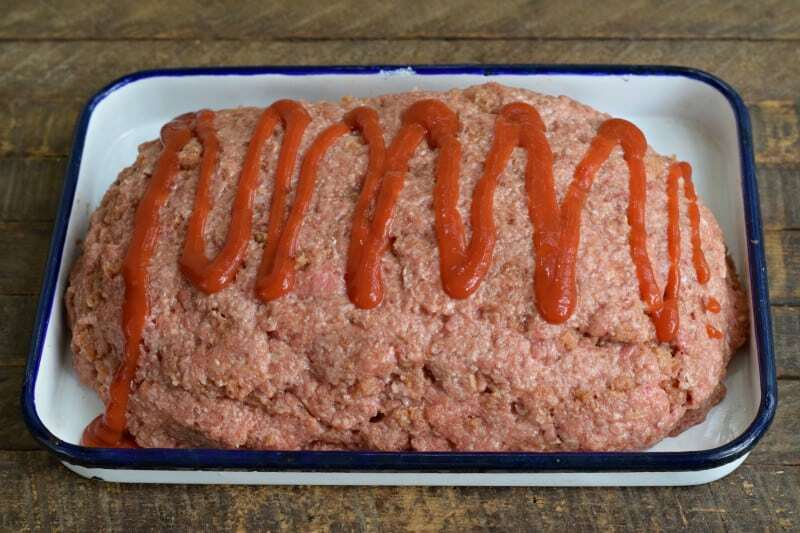 Simply dump mixed ingredients in your baking pan, shape meat into a loaf and bake! Great idea Nancy!! Thanks for sharing!! I use my food processor to crush the pork rinds by continuing to pulse until it is the texture and size I need for cooking. Works great. I will be making the meatloaf recipe this coming week–I need some ground chicken but have all of the remaining ingredients on hand. Will let you know how we like it. Since this item is just pork rinds and oil, I believe they are gluten free. Also FYI I buy my crushed peppermint sticks in a bag from the baking section of my grocery store; especially during the Christmas season. No fuss, no muss. I enjoy your website very much. Thank You for all of your work. Thank you so much, I am so glad you are enjoying the site!!!! Christy, thank you for sharing this delicious recipe!! I have been low carbing for the past 3 months and I am always looking for new recipes. Any other low carb recipes you would like to share would be greatly appreciated. Especially recipes as good as this one! Thanks again!! 🙂 I will be sharing more along the way, hope you enjoy the meatloaf! 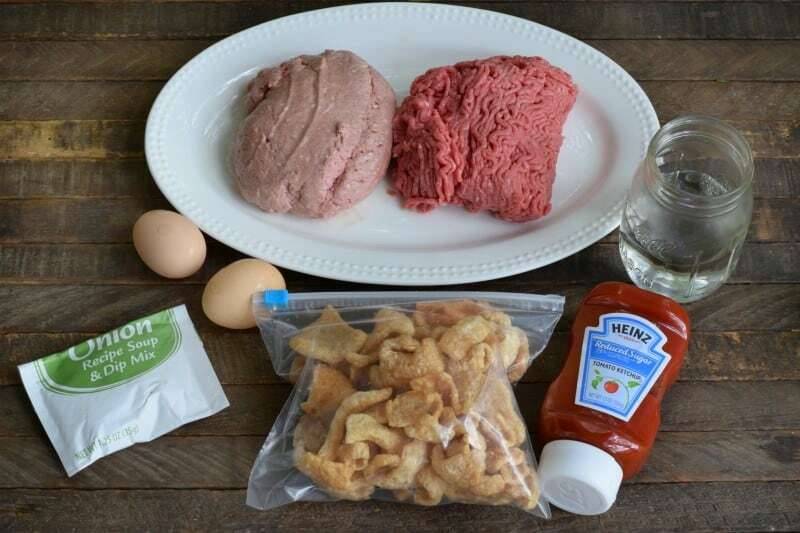 Lol, I’ve got the pork rinds, but no ground chicken, so I’m going to make another trip to the store tomorrow just so I can try this recipe.. I’m always looking for a better meatloaf recipe and this one looks so simple! I cook for just 2 now and plan to cook half and freeze the other half for a future dinner and leftover meatloaf lunch sandwiches. I’m assuming this will freeze well? Hi Joyce!! I haven’t tried it but I can’t see why it wouldn’t freeze well. Let me know when you try it!! 🙂 I hope you enjoy the meatloaf Skye!! 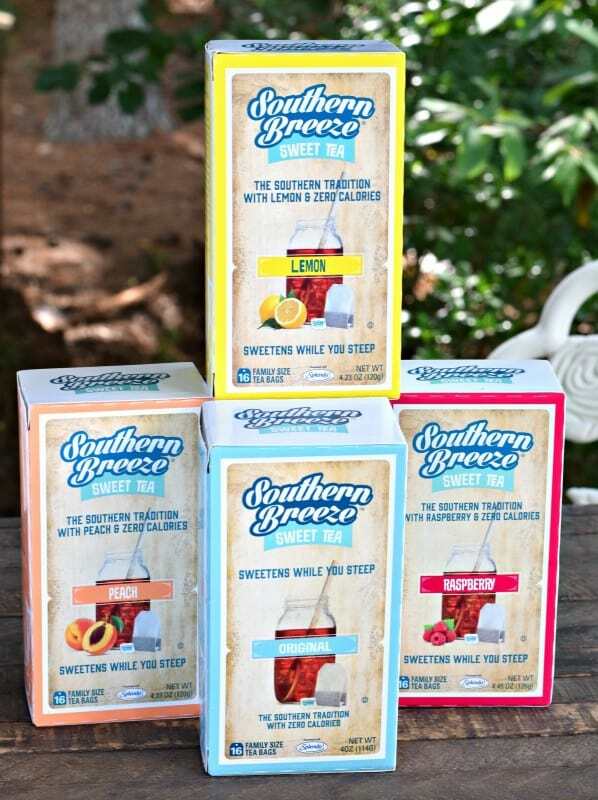 Bought Southern Breeze tea at Publix this evening. It was on Clearance! Hope they’ll reconsider. I bought all of it. 8 boxes. I luv tea. I love it too Phoebe, I hope you will be able to find it again!! 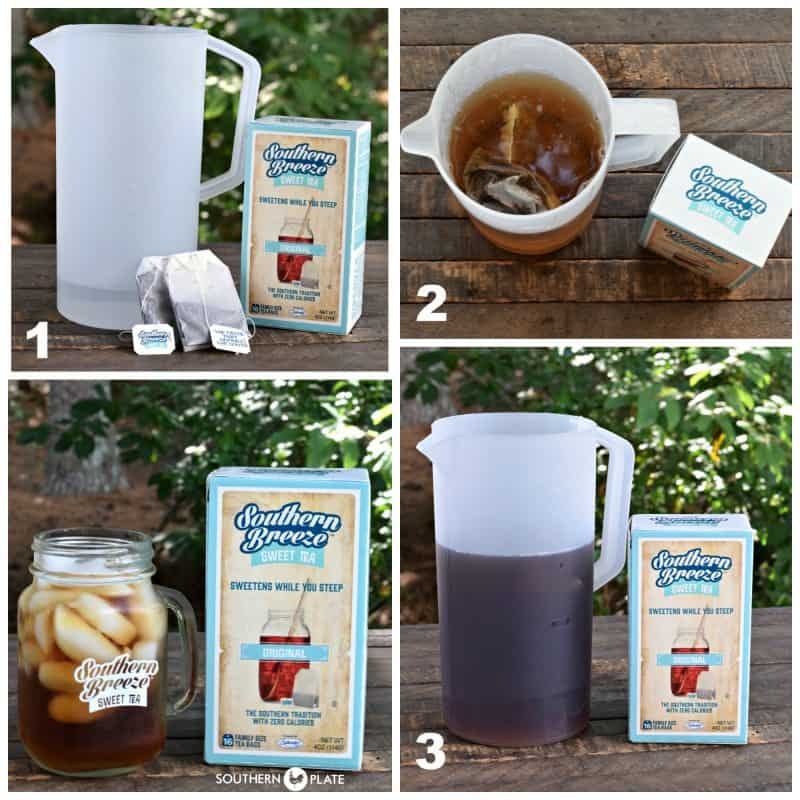 Lipton is making a sweet tea in a bag. I haven’t tried it. But, could n option. Any ideas on a substitute for the pork rinds? Won’t the addition of onion soup mix add carbs and preservatives,any suggestions? I was thinking same thing. Wonder if dried onions would work ok? This meatloaf is very similar to the one I make now since doing low carb. I keep crushed pork skins in a bag in the freezer ready whenever I need them. I use them in place of bread or cracker crumbs on top of casseroles, etc. Instead of ketchup (which I don’t like at all) I use a low carb salsa -usually salsa verde in place of the ketchup.Dollar Tree frequently has a no sugar tomato sauce that is great. Good to see all the low carb recipes coming out. Great idea Winnie, thank you so much for sharing!! 🙂 I hope you enjoy the meatloaf!! I made this meatloaf for dinner last night and just had a leftover piece for lunch. Delicious! I didn’t have any pork rinds or ground turkey in the house, so I made a trip to the store and somehow managed to forget the ground chicken. I had a pound of ground breakfast sausage in the fridge, so I used that instead. I also subbed onion powder for the onion soup mix to cut down on sodium a bit. I did get the low carb ketchup, which I didn’t even know existed before now! This recipe was a hit with my extremely picky daughter and her soon-to-be husband also loved it…in fact, I packed up a portion for him to take for lunch today, too. 🙂 I’ll certainly be adding this to my regular meal rotation and I’ll share with my fellow low-carb friends. Susan, thanks for sharing this recipe with Christy so she could pass it along to us! I’m making it again tonight. I’ve probably made it about every two weeks since finding this recipe in August! Thanks again, Susan and Christy! Since I live alone, I made half the recipe. Now I wish I had made the whole thing! 🙂 I didn’t low-carb it. I mixed a little catsup and brown sugar to put on top. It is so good! I am so glad you liked it Sherry!!! 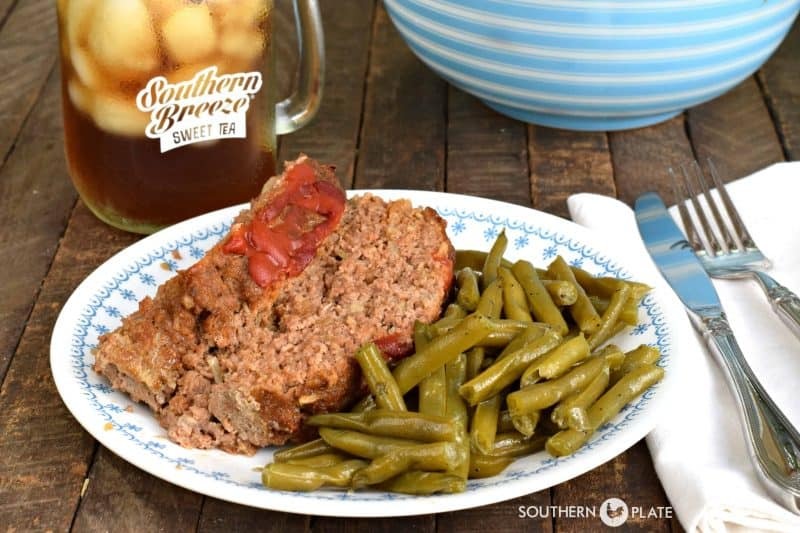 Beef, chicken, pork is the classic meat loaf recipe. Which we never had growing up because it was too expensive. I’ll make this, freeze half, and have, at least, two meals. Thanks! Wow! Made it tonight and it was absolutely delish. I wasn’t sure about the chicken but it’s a definite plus. Can’t wait for my meatloaf-loving husband to try it! I tried this with turkey, too. Couldn’t find chicken at Walmart, at least that day. I LOVE meatloaf and this is incredible! And EASY!!! I’m no cook and even I had great success with this. Where can I find the carb count? I used myfitnesspal to calculate the carb count. The low carb diet I’m on counts NET carbs i.e. carbs – fiber. I GUESSED 8 servings and the net carbs per serving was 5 g carb-1 g fiber =4 g net carbs. I am allowed 30 net carbs per day on my diet so this is just fine. Hope this helps. I don’t have a clue what I did wrong, I followed the recipe exactly as read, when it was done I let it rest a bit, when I took it out of the pan it completely fell apart. Any idea what could have happened? So disappointed.